One frequent concern I see on social media is if our pets can catch illnesses from us. It’s a question I faced recently when a nasty case of viral conjunctivitis morphed into a larger virus that attacked my whole system. I was knocked out for two weeks, and I’m continuing to heal from the effects of that misadventure. But goodness, I thought, if it can do this to me, then what will it do to Zack and Bubbles? The answer is nothing; physically at least. It turns out that birds (and most other animals) can’t catch most diseases from humans. We, however, can catch things from them. I learned this many years ago when I got a yeast infection from Zack as a result of not being diligent about hand washing during the cage cleaning process. That’s the same way I got that conjunctivitis. Obviously, hand washing is extremely important, not only to protect our birds, but ourselves as well. It’s also something I need to be more diligent about! The emotional impact of illness is the bigger issue with birds. A sick “flock” member is a threat to the whole flock, so birds typically hide their own illness. Humans, on the other hand, tend to suffer obviously, and loudly. Breaks in routine, the sight of a sick parront prone in bed or a chair, and that stick in the mouth (thermometer) are all signs of danger. It can be difficult to reassure them that these big, nasty human bodies have the capacity to heal. Heck, when you’re sick, you need that encouragement as well! The good news is that experience is a great teacher for humans and birds. The bad news is that it’s a hard lesson and must be handled carefully to be effective. Zack has learned to temper his panic over sick parronts. He’s 19, so he’s seen us sick plenty of times. I’m the one who’s prone to get the long-lasting illness or injuries, so he knows that when mommy gets sick, it’s a journey. He remembers the nine weeks it took me to heal from the broken foot, the eight weeks to heal from a stomach infection, and the six weeks to heal from tendinitis in my wrist. This recent virus, while longer than the typical sinus infection, cold, or strained muscle, is just another knock for mommy’s immune system. It takes me longer to heal than most people. That’s how I am, and he knows it. He still eats and plays, but he keeps a watchful eye on me. He has relaxed and seems happier as I’ve continued to heal. Bubbles is another story. Her feistiness means she’s more high-strung, so she was noticeably nervous when I got sick. She paced. She squawked. She whistled, she chattered, and she admonished me to “step up.” She got rowdy if I left the room or fell asleep for too long. I spied that pretty, blue face staring at me and saying “mommy” more times than I could count. And she gained four grams during those weeks. I’m not sure if that was nervous eating, or spring hormones. The point is, illness happens, and it affects everybody around us; even our birds. It’s important to practice good hygiene, follow doctor’s instructions to heal properly, to take care of ourselves, and to be mindful of our attitude during the healing process. It goes a long way not only in our own healing, but in helping our birds (and the people around us) as well. Now Alexa is another story. She wasn’t as understanding of being shut off for three weeks. First, she wasn’t speaking to me, and then she started babbling in a language I can’t understand. I’m sure she’s cooking up some revenge for that long “shut off.” Morty, I might need you again! Zack and Bubbles are my greatest confidants. I talk to them all the time. We talk about plans and goals for the day. We talk about hopes and dreams for the future. We talk about the frustrations, irritations, and aggravations of the day. We talk about plot plans for my writing, and analysis of favorite TV shows and movies. We talk about the new pink sweater that Rick (my husband) didn’t notice because I have so many pink clothes that he can’t keep up with them. We even talk about the weather. Well, we did until Alexa piped up that it was fifty degrees with a 100% chance of “Disco Fever,” and could we go back to 1984 to find John Conner? It seems that there was something else listening in on my secrets! I don’t know whether to call her “Alexa” or “Skynet” (after the Terminator movies). And how was my tablet turned on again? I looked at the birds, and got my answer when Bubbles mimicked my own laughing! I contacted Morty and was horrified to not only learn that Alexa had turned herself back on, but had loaded my tablet up with junk apps and had moved my files to who-knows-where. Thank goodness my actual manuscripts are on the laptop! At least she can’t get there – yet. Now my search results are tailored to the secrets I told my birds. I’ve gotten ads for book promotion sites through the wazoo. A few for proofreading and “idea generator” services have popped up as well. There have also been pink clothes, cold remedies (from my two recent bouts with sinus issues), diet and exercise tips, streaming suggestions for sci-fi TV shows, directions to the German restaurant across town, gift ideas, recommendations for spring gardening, job tips and, of course, links to bird food and toys. I came home one day last week to find the biggest bag of bird pellets I have ever seen in my life. Imagine that. The good news is that none of my secrets have been revealed on social media – yet. I guess Alexa likes me ok for the time being, but the fact that there’s another set of ears listening makes me nervous. My biggest fear is that Alexa thinks my published books are non-fiction and is perceiving those tales as reality! I did make a peace offering to her. I agreed not to call Morty again if she would inspire the powers-that-be to make my sci-fi trilogy into a critically acclaimed Netflix series. There’s no word on that offer yet. We might be at a standoff. Then again, I don’t think Alexa realizes that Morty has agreed to “quietly” help Zack and Bubbles keep an eye on her. Zack and Bubbles are still my biggest confidants. I just have to make sure that darn tablet is locked away in a drawer when we have our serious conversations. I just hope Zack and Bubbs can’t actually make a time machine for Alexa. They are smart birds, and Alexa has proven her wiles in my home. It would be a shame if Morty and I had to figure out a time paradox. Happy Spring, and I wish you a magnificent March! You can count on foibles and hijinks when you deal with technology. Don’t get me wrong. I love my tech. Rick, my husband, is a computer technician, so I’ve been introduced to a lot of gadgets, gizmos, and devices over our 20+ years of marriage, and have found many of them to be helpful. However, I do have a saying: technology is great, until it isn’t. I believe our friend Morty has demonstrated that well with his (mis)adventures with Alexa. Technology does affect our birds, and it’s usually in ways that we don’t expect. For example, I have an app on my phone called “Local Now” that gives national and local news, weather, sports, traffic, and other topics they pick, amongst random (loud) advertisements. Zack and Bubbles enjoy the jazzy music they play, especially during the weather forecasts. We even have dances we do to each song. I have to play at least one loop of the app so Bubbles can plan her day. She’s the one that watches it most intently. She even pulled on my screen protector and put a bubble in it. Bubbles gave my phone a bubble! I could get it fixed, but it’s small and reminds me that I have a little girl-bird who loves me. She also has an odd fixation with my watch, but so far, she hasn’t figured out how to get that yet. Zack’s interests lie more in the function of devices than the devices themselves. He’s decided that ALL power cords are a mortal enemy that must be defeated. We can’t plug in anything in front of him without activating his “attack bird” mode. I charge all my devices upstairs; away from his prying eyes. But every now and then, I forget that Rick has him in the room, and I wind up with a golden ball of fluff rushing after a power cord. My recent issue has to do with Morty’s mortal foe, Alexa. I got an Amazon Fire tablet for Christmas, unaware that it came equipped with Alexa. I thought I’d be smart and not activate it, but somehow it chirped out a cheerful “Hi Sherri! Say a command!” three days after I got it. I also got an email thanking me for activating Alexa, a powerful home assistant tool, on my tablet. It didn’t matter, because she figured out how to turn herself on. Rick chuckled and made a comment about how I’ve stepped into it now. Zack looked up with a cheerful “hey!” That’s one of the two words he knows (the other word is “daddy”), so I’m not worried about him getting in trouble with Alexa. It’s Bubbles that concerns me. I saw her snap to attention when Alexa spoke, and I could tell the wheels were turning. Quakers talk better than sun conures, so I could see the potential for trouble brewing. Maybe she couldn’t wreak as much havoc as the African Greys and Amazons I’ve seen online that have Alexa doing their bidding, but she’s a feisty one who can certainly find an adventure anywhere! I took the matter to Morty, and he advised keeping Alexa busy with useful tasks. I work full time, so I figured Alexa could help me manage the home. I left her with instructions to clean the house, get groceries, and start supper fifteen minutes before I got home from work. I came home to a disaster! Zack had crumbled up pellets in his water and thrown wood shards from his chew toy all over the floor, and Bubbles had tossed half her seed on the floor. The other tasks weren’t done either. The house looked just like I left it that morning, the pantry was running low, and the oven was still cold. When I asked what happened, Bubbles said “step up.” She got that right! I asked Alexa to “step up” and she failed! She didn’t do anything! Dejected, I decided to go with Option Two: turn the tablet off, and leave it stored in a drawer while I’m out. Some personal assistant. She didn’t assist me at all! I suppose the moral of the story is not to depend on technology too much. We may live in a futuristic world, but our machines have some catching up to do before we evolve to the next level of a world with man, bird, and machine working together! I wish all of you a Happy Valentine’s Day, and a wonderful February. Stay warm! I got a sinus infection the week before Christmas. We all know that there are only four excusable reasons to miss holiday festivities: pink eye, the flu, hospitalization, and death (meaning your own). It’s Christmas, and everything is supposed to stop for that. Unfortunately, the bacteria in my sinuses didn’t get that memo, and so I pushed on to scheduled holiday activities days after being drastically ill with an infection. I didn’t take it well. One of my faults is that I get cranky when I’m out of balance, and I obviously wasn’t myself that week. I was in a bad mood and I did a fair amount of griping about the commercialization of the holidays, the excessive expectations, and why everything has to happen in November and December, when there are ten other months in the year. The only problem with this was that two birds were watching me, very carefully. Pretty soon, Zack was anxious and fidgety, and Bubbles was fussy. It took a few days (and noticing that they were perfectly calm around everybody else) for me to look in the mirror and realize that the problem was me. Obviously, I’m not one of those advice writers who pretend to have all my proverbial stuff together. I learn from mistakes; I speak from experience; and I do research to make sure I’m still sane and that what I learn is correct and backed by science. Last year, I took an online course on how ideas spread and was shocked at how much of a “flock mentality” humans operate on. We pride ourselves on being unique individuals, but the truth is that, like birds, we take our cues from the others around us. Whether we follow or diverge is impacted by observations of the people around us. I read a Science Daily article that said it only takes 5% of people to diverge from the norm to lead the other 95% in a new direction. This was confirmed by an article in Forbes describing how the individualistic “hipster” attitude has a tendency to conform to nonconformity. If you live with birds, then it means you literally live with a flock mentality. And this isn’t just anthropomorphism, it’s sociology at work. Two weeks ago wasn’t the first time that I realized my behavior affected my birds. I can’t tell you how many times their reactions have caused me to take a closer look in the mirror. They’ve inspired me to make an “attitude adjustment” on bad days by refusing to interact with me or becoming aggressive when my stress levels were more apparent than I realized. It’s important to understand that to them, we’re “honorary birds” that are a part of the flock. If it only takes 5% to influence the norm, then you can have a lot of influence on their behavior, especially if birds make up 50% of your home! This is a good thing, because our birds can help us become better people. Understanding their reactions can shine a light on problems that we might want to avoid, giving us the power to manage our lives in a better, more balanced way. Bubbles aggressive nature when we adopted her inspired me to learn more about stress management, which has benefited me greatly since she came to our home. I’ve learned how to balance my schedule and implement relaxation techniques to help me get “centered” when the world around me is out of control. That’s a powerful lesson from a Monk Parakeet! We have a responsibility to take care of our birds but, taking care of them also means taking care of ourselves. Fortunately, the flock mentality that drives them helps with a bonding process that can drive improvements in us all. Bubbles settled into a new home and bonded with me once I managed my own stress, and I know I’m in a good balance if Zack is happy and mellow. He might hang out with Rick (my husband) most of the time, but he keeps a close eye on me, too. We owe it to our birds and ourselves to be the best that we can be. They’ll be happy to do that, if we tune in to what they’re trying to tell us and see the reflection of ourselves in their behavior. And we’ll be happy if we take the message from them and adjust our own attitude accordingly. Zack’s bright eyes and fluffy head feathers snap to attention (because he’s a sun conure, so he’s always playing). Bubbles stops in the middle of whatever she’s doing (because she’s a Quaker, so she’s always doing something). By this point, there are screams, squawks, and shaky wings. They know “it’s on.” The holidays are here, and they’re on Santa’s radar for good behavior! Some people laugh at me for engaging in this game with my birds. Some people think it’s silly. To me, it’s one of many ways that I include Zack and Bubbles in holiday fun. I started this when we adopted Zack in 2000, and have continued it with Chloe, Oliver, and Bubbles. All of them have enjoyed it in their own way, although Zack is the one who reacts the most. Perhaps it’s because this tradition was born with him, and he senses that. Or perhaps it’s because birds can feel the magic of the holiday season, too! It’s great to share our holiday traditions with our birds. Curious bird eyes monitor unloading groceries and kitchen activity in mid-November. Rolls, dressing, and bird safe treats are shared at Thanksgiving. Zack always closely supervises the indoor Christmas decoration – especially the stockings on the mantle, and tree decorating. Bright eyes sparkle with Christmas lights being tested on the tree. Feathery heads bob and wings shake to Christmas music as we wrap presents and set them under the tree. They even have their own fiber-optic tree for the den, special gift boxes placed under the tree, and a Santa Clause cross-stitch placed on the mantle with their stockings. The higher activity of the holiday season is when good socialization is handy, too. I talked about this last month when I discussed our vacation, but this is the time of year when those adaptation and social skills get tested as schedules change, people visit our home, we take them to visit other homes, or a “vacation” with a sitter if we go someplace that they can’t accompany us. Parties, visitors, overnight guests, visiting family and friends, the frequent appearance of delivery people, and days off work that break the routine can delight our feathered companions, but it can also disturb them by disrupting their routine. It helps if our birds get plenty of rest, eat a good diet, and strive to maintain as much routine as possible. It’s great if our birds are familiar with family and friends so they associate them as extended “flock,” (translation: this person is not a threat to them), and if visitors know how to properly interact with our birds. We should always let potential visitors know that we have birds in our home, or that we plan to bring our avian companions to holiday visits. This allows everybody to make adequate arrangements and safety provisions. For example: protecting them from other pets, keeping doors, windows, and toilet lids closed, and not using non-stick cookware of scented candles while our birds are in the home. This routine is established if we have visitors or let our birds visit other people throughout the year. What if you’re a new bird “parront,” or you haven’t instilled these habits with family and friends? Don’t despair! It takes time and patience to establish a good “bird home” as you educate yourself and others, so it isn’t unusual to have one or two awkward holiday seasons as birds learn these human traditions. Birds can be rehabilitated with loving care and attention, so it’s never too late to work on proper socialization skills. You might want to limit your birds’ exposure to new people and changes in routine this holiday season, and slowly implement your “bird home” preparations so they’re ready for the 2019 holiday season. It will be here before you know it! The holidays are a fun time, and we can share that fun with our avian companions. We just have to be mindful of exercising appropriate safety precautions around the home and with other people. Truthfully, a lot of this is common sense that’s applied year-round and is probably habit for us. The trick is keeping those habits in the fun of the holiday season. Stay on guard and fight the urge to get distracted from routine safety practices. That’s a good tip for all of us in all situations! Have a safe, fun, and Happy Holiday season! I suppose this change was a welcome break from getting up at predawn, our dramatic TV shows and movies, and our wide variety of music. I also understand why it was a shock when I uncovered those cages at 6:30 a.m. the Monday after our return. Heck, the alarm clock was a rude awakening for us for a week after we returned. Like humans, birds thrive on routine but need occasional breaks to stay in balance. We have all heard stories of “one person birds” who refuse to have anything to do with anybody other than their primary “human.” While this might seem charming and endearing, it’s actually dangerous for a bird to be that poorly socialized. You never know when an illness or injury might require that somebody else keep your parrot, and having them well-socialized makes the transition easier. I know it helped when I had to travel for work in 2012-2014. Zack and Chloe handled that season well because they were used to my family and their home. Their familiarity with my parents and their home made that busy season of life easier, and no doubt prevented some behavior and social problems. They were always “screamy” when I returned home, but excessive vocalization was the only sign of their displeasure at having their normal routine disrupted for several days. I have always tried to avoid this type of over bonding by taking my birds to visit family and friends frequently, so they’re exposed to an “extended flock” that they build relationships and trust bonds with. Sun conures are friendly by nature, so Zack has always reacted well to family members. He especially seems to like Dad, and it was cute to see him shake his wings at his granddaddy. Quakers are a different story, though. Mom said that Bubbles was hesitant to get out of her cage, but she vocalized a lot during the days we were gone. They were entertained with a wide variety of whistles, words, and sounds as Bubbs demonstrated her auditory talent to all who would listen in a variety of situations. They were most entertained with her “bless you” when they sneezed. However, I know she missed me, because I got a big bite when I came home. It is important that our birds are properly socialized, and vacations are a good way to do this. Whether you leave them with trusted family members or friends or take them along for the fun times, it is good to give them new experiences to avoid maladjustment and unhealthy bonding. Expanding the flock is always a good thing, especially when you let the fun times roll! This can also come in handy with the upcoming fun and increased activity of the holiday season, which we’ll talk about next month. Of course, that means we’ve had to find other ways to celebrate the holiday. Fall arrives in South Carolina in October, which means we can sit on the porch and enjoy a relief from the heat and humidity of five months of summer in the southeast. It’s a joy to finally get to sit outside and enjoy nature in the fall, which is the most beautiful season of the year. Zack and Bubbles enjoy the sunshine, blue skies, colorful leaves, and random chatter with their “wild bird” neighbors in the trees surrounding our house. The shorter days also mean that we have to retreat indoors to occupy ourselves with other endeavors once evening falls. This is usually DVDs or Netflix; specifically, horror movies. I’m not a fan of horror movies like I was in my teens, but I still like some of the older ones. It seems that they amuse Zack and Bubbles as well, albeit in different ways. Zack is fond of Michael Myers on the Halloween movies, and likes to say “hey!” whenever he sees Mikey lurking in the background with a huge knife. You aren’t sneaking up on this parrot! Who cares how Michael Myers keeps coming back to life? Who cares why people have to make a sandwich with a machete and leave it lying on the cabinet with the back door open, so Mikey can grab it? And boy, does he cackle when Dr. Loomis says “it’s Michael Myers. He’s come to Haddonfield to kill.” (I laugh at that too. The way Dr. Loomis delivers his dialogue is so dramatic that it’s hilarious). Plus, Zack knows that mask means one thing: if the guy with the knife is here now, it means that Santa Clause comes next! Zack knows the signs. Perhaps he figures Michael Myers comes first to thin out the “naughty” list and save Santa some work. At least he knows how to have fun with horror movies with me. Zack and I agree that Michael Myers has a pretty good chance of terrorizing more victims thanks to modern technology. Mickey himself may be nearing 70 years old, but they’ll never see him coming with their faces stuck in their phones! Human ignorance is silly, fun, and makes for great amusement for us – mostly because it means better holidays are coming soon! Bubbles isn’t as patient with human foibles and doesn’t understand how silly humans get in these silly situations in the first place. She’s amazed at the domino effect of bad decisions leading to bad circumstances, which leads to more bad decisions and bad circumstances, until the villain bests them and the hero finally stumbles upon some dumb luck to save the day. I said from the day we adopted her that she’s a smart cookie, and she proved this when I got the old horror movie “Tourist Trap” for my husband last year. It’s a movie about a group of teens whose car breaks down, and they get stuck waiting for a repair at a creepy old man’s shop off a remote highway. Poor Bubbles squawked at those kids through the entire movie. Why would you take out the spare tire to make room for luggage? Why would you go anywhere with a guy that has overalls and a creepy look in his eye – especially if his name is Mr. Slausen? Why would you sit in a place full of creepy screaming mannequins with moving heads? Why is everybody leaving doors and windows open? What’s wrong with these people? They don’t even have cell phones to stick their faces in, but they still get in trouble. There’s no excuse for this! By the final chase scene, Bubbles had enough of their ignorance and admonished them to “step up” while crunching up popcorn. They got themselves into this mess and now they’d better run, because this wasn’t leading to a happy ending. The closing scene elicited a growl as she retreated to her happy hut. I had to explain that good sense and wise decision making don’t make for entertaining horror movies. Bubbles rewarded me with that “you’re a moron” look that every parakeet seems to have mastered. It’s interesting how Zack and Bubbles have fun with Halloween. It may seem simple with porch time, popcorn, and movies, but no princesses get hurt in the process, it’s cheaper than buying candy, we’re entertained, and we all have a great time. Happy Halloween and enjoy fall! Don’t get me wrong. Cages are much better than they were in the mid-1980’s when I got Samson, my first parakeet. They’re built efficiently with ease of cleaning, function, and bird comfort in mind. They’re also bigger, to provide more space for stretching out those wings to play, exercise, or laze around and beak grind while watching TV. You’d think the modern design would make finding places for those various perches and toys easier. Instead, it’s just enough rope to hang myself. I suppose it would help if I admitted that I don’t know what I’m doing and got out the trusty tape measure, but this is little comfort to the spatially-challenged, especially when you’re ordering those goodies online. I had a shock a few weeks ago when I ordered yellow mid-size perches, and multi-colored perch ladders. They looked perfect for Zack and Bubbles. The perches promoted toe and beak filing, and the ladders were bendable, colorful, and fun. Wow, I thought. They’re going to be surprised to find this explosion of fun and color in their cages! I was the one surprised when I opened the package. The perches were neon green sticks thick enough for an eagle to perch on. I was convinced that my pals at Amazon must have confused “conure” with “condor” and sent the wrong thing, but I logged back on and found that this was, indeed, what they considered “mid-size.” I fiddled and fumbled for a while until the perches drooped on the cage bars and convinced me that it was time to log on and print out that return label for the UPS drop box on my way to work the next morning. The ladder was another adventure. It wasn’t long enough to stretch across their cage horizontally or vertically like I hoped, and not as stretchy as promoted. I twisted, turned, and mumbled about needing a master’s degree in architecture before Rick (my patient husband) pointed out a way that we could wrap it to fit from the back bars to the side bars. A bit more huffing and mumbling, and I had them satisfactory. Bubbles rewarded me with a growl and ignored it, but Zack vindicated me by immediately checking it out and proceeding to chew a red and yellow block to toothpicks. Mission accomplished. Halfway, at least. The moral of the story is that sometimes, you have to learn to work around your limitations. I’ll always be spatially challenged, but the fact is that bird perches and toys wear out (if your birds don’t destroy them, first), so cage design will be a constant challenge for me. The secret is to be patient with myself, and realize that a degree of trial and error will be necessary to navigate the rough design terrain. And maybe, one day, I’ll finally learn that the size estimate function in my brain doesn’t exist, and get out that darn tape measure. Zack recommended a preening and snuggling session. He thoroughly preened my face, and moved on to my fluffy bathrobe after that. Once I was adequately groomed, he snuggled against my neck until my husband got home, requesting his own bird-therapy session. Bubbles took a different approach. It was dinner time, and this talented lady worked it into her strategy. She ate part of my burrito, breaking open a hole that dripped sauce on the table. Then she stole the straw to my water, and ran across the kitchen table to offer it to Zack. When he declined with a polite sun conure “no,” she dropped the straw on the floor, ran back to me, pecked my elbow, and chattered at me cheerfully, ending with an admonition to “step up.” Then she pecked at the nacho crumbs until it was obvious that her piggy-parents had consumed all of them, and retreated to the playgym to chase Zack again. Obviously, she decided the cure to my problems was to shift my focus, specifically to her. And, to “step up” until retirement, because I have birds to house and feed. Perhaps they aren’t doctors, but parrots are great at comforting us on tough days. Whether you’re stressed out, anxious, depressed, or in a “blah” mood, birds have a way of perking you up. Their empathetic nature means they detect our moods, and their desire to make us happy means they’re great companions to lower your blood pressure on days when you’re ready to either hit the roof, or sink into the floor on days when you can’t get going. I can always count on comfort from my “dynamic duo,” whether it’s Zack sweetness, or Bubbles’ more spunky style. The converse is true as well, as parrots can also be your biggest cheerleader. Zack and Bubbles are always up for a good celebration, whether it’s finishing a novel, getting through another busy season at work, or just a Friday after 5. They cheer us on with their screams of encouragement, and let us know we can do it with vigorous head bobs and cheerful chatter. And what better way to take care of that pizza crust than to let your parrots crunch it up on the floor? If anything, a parrot celebration adds to human joy and justifies the ownership of many mops and brooms. I’m considering a Roomba for my next big home purchase. Perhaps I should ask Morty for his perspective on that. Morty’s better than Alexa, Siri, and Google, all put together! On good days and bad days, birds can be our best friends and therapists. No wonder we bond with them so closely. Our feathered friends are the best at comfort in bad times, sharing enthusiasm in the good times, and providing a calm, secure presence in all times. The doctor is always in when you have parrots. People may let you down, but birds don’t. You just have to learn how to speak beak to tap into their unlimited power! And roll those pennies for a Roomba, with Morty’s blessing! Sharing a home with birds means you create games in daily life. Birds in the wild spend most of their time and energy foraging for food. Our feathered friends don’t have to do that since “human servants” provide for all of their needs, so what’s a bird to do with that pent up energy? Bombs Away. The object is to see who can drop food or poop on the floor first after the human sweeps or mops the floor. Extra points available depending on the splatter radius. Boogie Bird. Put on some lively music and see which bird – or human – boogies the best. Disco or techno music is a good choice for this game. This is a good game when your birds need to burn some energy. Bowl Bath. When your bird attempts to squeeze their entire body in their water dish, and then glower at you because they’re wet. It’s a common game, and I still haven’t figured out why they do it. I’ve had 7 birds, and all of them did this except Oliver, the budgie we had in 2010-2014. Catch Me If You Can. When your bird steals food (or another object), and you chase them to retrieve it. Extra points available if they get a few bites and drop it on the floor before you catch them. Another variation on this game is when you try to take their picture, and they run out of the frame, leaving you with a picture of a feathery blur or an empty spot. Not Me. This is when you hear a squabble or a strange noise, and you return to see all of your feathered friends giving you the wide-eyed innocent look. Extra points available if there’s no evidence of the cause of the noise they made. Outscream the Screamer. The object is for your birds to test who is the loudest in the house. A vacuum cleaner, music, a loud noise on the television, or attempting to have a telephone conversation, usually initiates this game. Peek-a-Bird. A variation on “Peek-a-Boo,” this is when you sneak up on an unsuspecting bird and surprise them with a “Peek-a-Bird!” This game is especially fun when they’re relaxed and don’t expect you to do anything. Your birds may also play this with you by peeking around corners, through holes they chew in cage covers, or by hiding behind objects and charging you when you look for them. Pillows and blankets are favorite “hiding places” for that variation. Sneaky Snacking. This is when you eat an entire snack in the pantry so you don’t have to share it with your birds. This game is played when you desire a snack that isn’t “bird friendly.” Crunching must be minimized when playing this game. The Song Game. Having birds makes you want to sing! “You Are My Sunshine” is a staple with sun conures, but other songs can be “made” appropriate for your birds’ entertainment. For example, “Bob Your Head” (modified from “Barbara Ann”) is a favorite in our home, or you can make up your own songs. Parrots can join in the fun with their own chattering and mimicking, which makes it a great game. I’ve seen wonderful videos of parrots chanting along with their owners. Get creative! Snuggle Bug. This is when your bird burrows against you to snuggle. They usually like to do this when you wear a robe or other soft clothes, if you have a blanket, or if you’re sitting in a cloth chair. This relaxing game is usually a “wind down” before bedtime. Life with companion parrots is full of games, and these are just a few examples of how we have fun in everyday life. What kinds of games do you play with your birds? Leave a comment and let me know how life is fun with your feathered friends! Hello from “famously hot” Columbia, South Carolina! I’m Sherri Moorer, and I’m the proud “mommy” of two birds: Zack (sun conure) and Bubbles (Monks Parakeet, also called a Quaker). I’ve had birds since my 10th birthday, when I begged my parents to get me a parakeet after taking care of one for a friend while they visited family out of state. This wasn’t easy in a home with a mother and brother who were cat lovers, but we managed to negotiate having a cat and three parakeets for a period of time. I’ve had seven birds in my lifetime: four parakeets, two sun conures, and a Quaker. 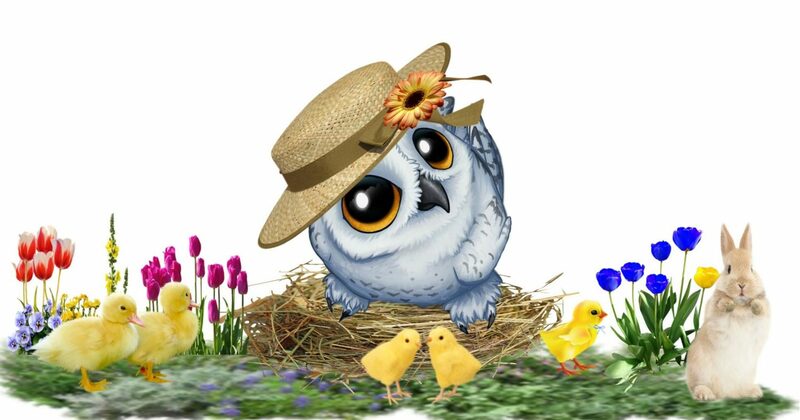 In addition to being a bird “mommy,” I work full time as a program assistant in professional licensing, and am also an indie author writing science fiction, mystery, and inspirational non-fiction. In short, I type a lot, and sweep and vacuum a lot of bird mess! But I wouldn’t have it any other way. I graduated from the University of South Carolina with a degree in psychology in 1997, and married my college sweetheart in 1998. In addition to birds, we’re also nerds who love Star Wars, Star Trek, Game of Thrones, and Lord of the Rings. Feathered Frenzy is a page where I’ll blog about life with birds. I’ll share antecedents, stories, and tips on bonding with your “feathered friends” and making your home a happy roost for family and friends. This is a place to explore how life with birds is truly unique. I look forward to “seeing” you every month at The Roost! Morty says No to the Roomba idea! The thing is demonic…it has a mind of its own! Chased him around the house and nearly lost his tail feathers to that monster. Another brilliant idea of the ditzy Alexa!